Today, Amsterdam based Rockstart Accelerator presents its third cohort of startups of their Web & Mobile vertical at Demo Day. The 10 startups of Class 2014 will present their business to 450 investors, industry executives, mentors and press.So far, one startup has already received acquisition interest from a startup with 300 million in funding, Argentinean Technorides has a growth rate of 40% per month and TOPdocs has grown to 600k downloads, growing 8% weekly. AMSTERDAM JUNE 12 - Today, Amsterdam based Rockstart Accelerator presents its third cohort of startups of their Web & Mobile vertical at Demo Day. The 10 startups of Class 2014 will present their business to 450 investors, industry executives, mentors and press.So far, one startup has already received acquisition interest from a startup with 300 million in funding, Argentinean Technorides has a growth rate of 40% per month and TOPdocs has grown to 600k downloads, growing 8% weekly. Launched in 2012, Rockstart Accelerator has a strong track record with 80% of their startups having received follow on funding. 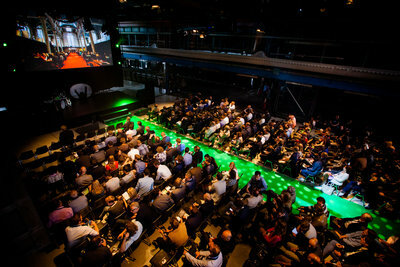 Previous participants include European success stories Peerby, 3D Hubs, Wercker and ImgZine. 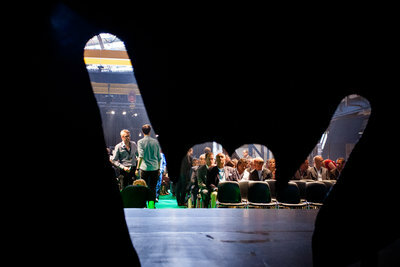 A few weeks after Demo Day Rockstart will release a detailed account of their Web & Mobile accelerator results from the 2012 and 2013 programs. “The results from the 2012 and 2013 alumni and the growth of the startups this year, place Rockstart Accelerator in the top 3 of European accelerators together with TechStars London”, says Rune Theill, Program Director of Rockstart Accelerator. Bomberbot is a game that encourages children to code in a simple, fun and visual way. By playing the game children will come to understand 7 basic concepts that are essential for any programming language. In addition, they will develop logical, creative and problem solving skills by creating their own characters and games and by sharing them with other people. With two different versions (School and Home) children will enjoy Bomberbot from the comfort of their living room or in the class room. Bomberbot is currently running pilots in public and private schools in 3 Dutch cities and is expanding to other European cities in the upcoming months. CoffeeStrap helps people learn a new language by doing rather than studying. Their platform provides instant access to a language peer, in 2 clicks, and in less than 10 seconds. “In order to get fluent in speaking a foreign language you need to engage in meaningful interactions, talking about topics that are relevant to you, with people you actually like”, say Italian founders Mahesh Casiraghi and Alessandro Maccagnan. Frustrated by their own poor conversational skills and having the technical expertise, Casiraghi and Maccagnan are building an innovative business that connects compatible peers based on their language, demographics, and interests. There are over 1 million self-producing furniture, fashion and product designers worldwide. But many of them struggle to effectively bring their products to the market. CrowdyHouse is the online curated marketplace where designers can run sales campaigns and sell directly to the consumer. Through running a sales campaign the designer can collect pre-orders. This allows them to produce in series after the campaign has finished and deliver straight to the consumer. With this model they make a better profit and offer the consumer a unique product at a lower price. Consumers get authentic products from real people and with a story. CrowdyHouse which secured a seed round of of 50k right before the start of Rockstart Accelerator, has since grown to a team of 8. LeadBoxer delivers leads to B2B businesses. They identify visitors from website traffic and provides real-time qualified leads per company delivered via CRM, email, API, or reporting interface. Detailed results include; company, interest, visit details, contact info. Lead details are enhanced with contact data from multiple sources, including LinkedIn, KvK/Chamber of Commerce, and additional proprietary sources. The founding team’s 10+ years of experience in building real-time engagement and Big Data solutions for Opentracker.net gives them the technical knowledge needed to build and deliver exactly what the market requires. MatchHamster is a cloud-based application targeting online digital publishing platforms and businesses in PR and communications. MatchHamster allows users to track where their texts have spread and where it is being used online – whether it’s a plagiarized article or a (partly) used press release. MatchHamster makes it possible to create new segments and allows you to quantify and monetize the spread of your texts online. Social Honey is a Big Data company that collects ratings and reviews for web content to measure its value to readers. They identify URLs that are relevant to the individual reader and recommend new links according to their interests. This recommendation is supplied by their browsing preferences and by their social connections. To gain mass audience they integrate with publishers and provide insights into which content is worked with particular demographic and reader interest segments. Social Honey identifies readers, turning bounces and clicks into personas with interests providing real feedback on the page they view. With almost 6bn Google searches per day, readers want to know the value behind the link before clicking it. Every month millions of people that try to learn music through the Internet give up. Songvice is building a revolutionary marketplace that is changing the way people learn music by connecting upcoming artists with music experts, making it possible to have tailored musical advice. They already have experts from 10 different countries and 7 different languages and they are just getting started in this fast growing $6 Billion market of Electronic Dance Music. Songvice aims to become the go-to place for online music education. The taxi and minicab industry has been around for a long time, and they are losing business to new competitors with new technologies (such as Uber). Technorides has created a solution that saves their taxi and transport company customers time and money, and provides them with a transparent and easy way to manage all their client services from one platform. They do that by offering SaaS cloud-based solutions, which improve their existing logistical services and connect them with new customers. Contrary to booking apps, Technorides’ technology allows companies to manage fleets and drivers in the cloud, through a customized and easy-to-use interface. Their solution is a proven success, and it has already been implemented in 27 taxi companies globally. 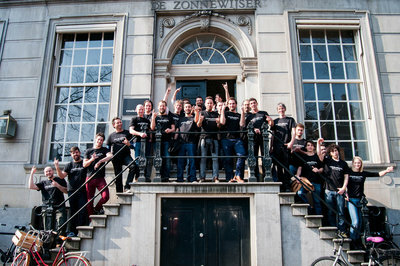 Their entry in Rockstart Accelerator allowed them to expand faster in the European market. In fact, they closed their first European customer within the first 2 weeks of the program. TOP Docs claims that it is the best workflow for mobile workers, with platform and format freedom. On the mobile productivity scene, all major providers (Apple, Google, Microsoft and even Dropbox) are creating closed ecosystems that cannot communicate with each other. TOP Docs is a productivity hub that allows users to sync, share, write, edit and collaborate on the go with a focus on mobile. The app provides enhanced security and encryption on public clouds. TOP Docs has a mobile first approach to productivity, is user-centric and has no lock-ins. Last week the Portuguese startup reached the milestone of 600k users. Wonderflow provides ecommerce stores with high quality text and video reviews about their products. Their algorithm extracts data from dozens of sources. Their ranking engine selects the best ones and publishes them on a widget that stands on each product page. It’s easy to install, supports multiple languages and fits any design. Their pilots with customers demonstrate that the widget dramatically boosts conversions and time-on-site of online stores. Wonderflow enables any ecommerce store to instantly fill their site with great reviews, compete with Amazon, and win.